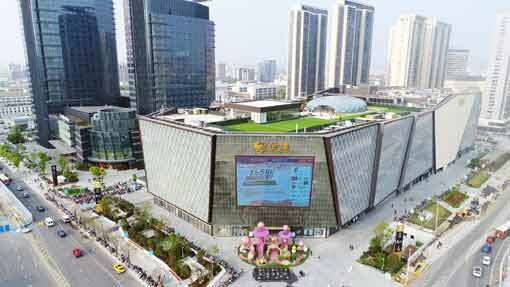 Suzhou Gaoxin Lifestyle Center commenced trial operation on 18 January 2017. The store is located above the underground interchange station of Suzhou Metro Lines 1 and 3 and at the core business district of Suzhou Gaoxin district, adjacent to Suzhou Amusement Land, with a GFA of approximately 176,000 square meters. Featuring multi-functions of G-Takaya boutique bookstore, family paradise, premium supermarket and specialty food and beverage, Suzhou Gaoxin Lifestyle Center has become families’ preferred place for shopping and leisure in Suzhou Gaoxin district, and the new shopping experience it brings to the local customers has attracted a lot of foot traffic. As at 31 December 2018, the GSP reached over RMB219 million in the full year.